Harvard Student Agencies' offices at 67 Mount Auburn St.
Harvard Student Agencies will help launch the HOPP app — a “direct-to-dorm” snack and drink delivery service — on Harvard’s campus during the week following spring break. During HOPP’s initial launch period on campus, Harvard students will be able to order select items from a fulfillment center, according to Nicholas W. Bunn ’19, CEO of Studio 67, HSA’s on-campus marketing agency and the group in charge of HOPP’s rollout. In the app’s early phase, items will be sold at 10 percent off retail price and with no delivery fee. 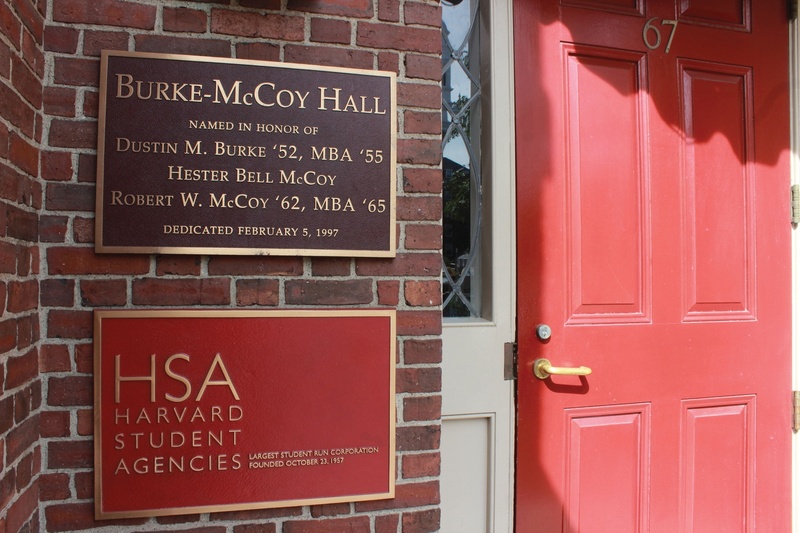 Bunn said the client approached HSA asking the group to launch the idea on Harvard’s campus as a “beta-test” to gather data for an eventual pitch to investors. “They came to us and were like, ‘We want to launch a direct-to-dorm delivery service for some of the products that we make,’” Swingos said. He said the father-son team also wanted to debut the delivery service “for some products that are close partners” of what they make. Though Bunn said he recognizes HOPP is similar to some other food delivery apps, he said he believes HOPP’s ability to directly deliver to Harvard dorm rooms — by employing Harvard students as couriers — will give it a competitive edge. He said that two or three students will be staffed at the fulfillment center at any given time and will deliver the products as quickly as they can travel to customers' dorm rooms. HSA will publicize HOPP with an initial email notifying Harvard students of the app followed by a promotional event run by Studio 67, according to Bunn. Bunn said he thinks one of the highlights of the event will feature a sampling of products from Cold Brewtus — a cold brew company based in Burlington, Vt. Along with coffee, HOPP plans to stock kombucha, Spindrift sparkling water, potato chips, cookies, popcorn, and protein bars, according to Bunn. —Staff writer Anissa R. Medina can be reached at anissa.medina@thecrimson.com. Follow her on Twitter @anissarmedina.